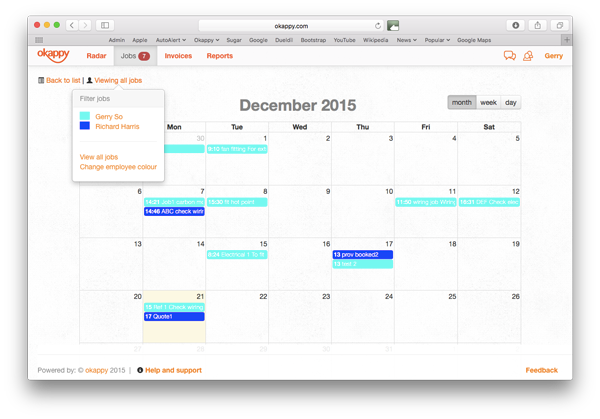 Following on from your feedback, you can now view your pending jobs in a simple day, week or monthly calendar screen. 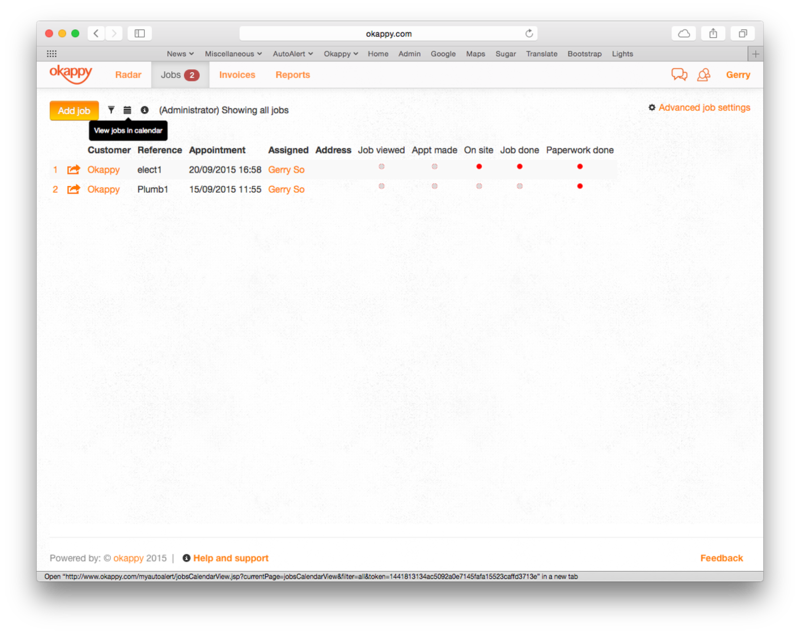 In addition, you can also filter by employees, making it even easier for you to view and manage your jobs. To view your pending jobs in a calendar, click the calendar icon ( ) from the top of your jobs page. You can set different colours for each employee by clicking on the contacts icon ( ), selecting employees and then clicking on the highlight box at the bottom of the page. Find out more about Okappy Job Management or join the conversation and connect with us on Twitter @ok_appy.